There are quiet a few bittorrent programs for Ubuntu Linux. Lince is one which aims to be lightweight and efficient. Lince is a light and full featured Bittorrent client coded in C++. The graphic interface has been designed to resemble the old Azureus, simple but powerful. Giving the user all the information in an easy and intuitive way. 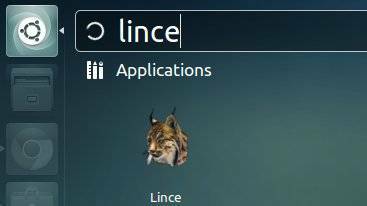 Another strong point of Lince is its capacity to allow the user to configure it according to his/her wishes. Lince also has efficiency as top goal. It meets user requirements using as few resources as necessary. Give it a try you will be surprised by its speed and low memory consumption! A nice User Interface inspired by the old Azureus. Encryption support (compatible with Vuze / Azureus). Advanced user, tracker and file management. uTorrent Peer eXchange support (PeX). IP Filtering similar to the one in eMule. The GetDeb repository contains latest Lince (1.3) for Ubuntu 13.04 Raring, 12.10 Quantal, 12.04 Precise and Linux Mint 13 Maya, 14 Nadia, 15 Olivia users.